K. M. Doherty is the author of the Thomas Holland series. 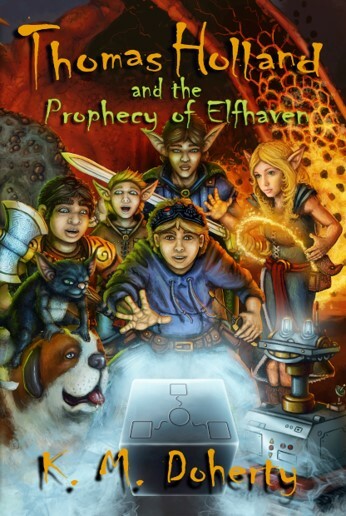 His first book in the series, "Thomas Holland and the Prophecy of Elfhaven", won an award with IPNE. And its sequel is"Thomas Holland in the Realm of the Ogres." The novels are Harry Potter/Lord of the Rings style magical fantasies. They have been extremely popular with kids and adults alike. The third book in the award-winning series should be out later this year.